Took an early train from Nagoya to Iga City. Nice slow train ride. Iga City is known as one of the birth places of Ninjitsu. 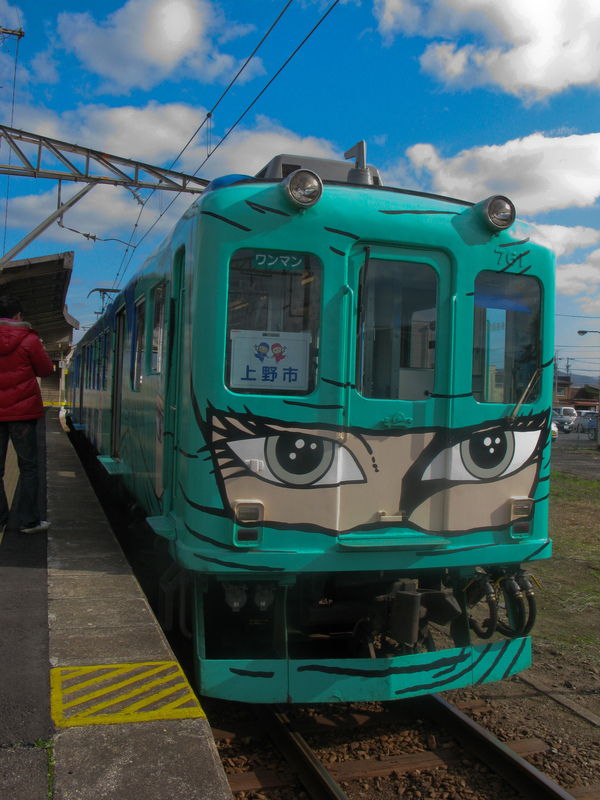 The train for the last transfer to Iga City has a Ninja paint job. We ate a picnic in the park consisting of hotdogs with onions and some inari. 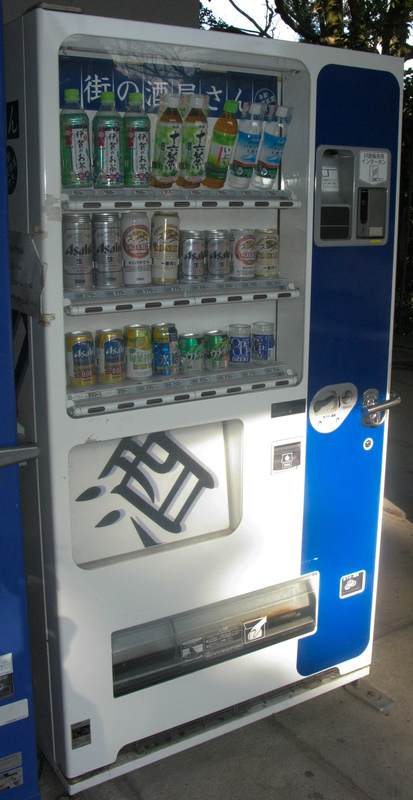 I was a bit thirsty so I went over to one of my favorite vending machines in Japan. 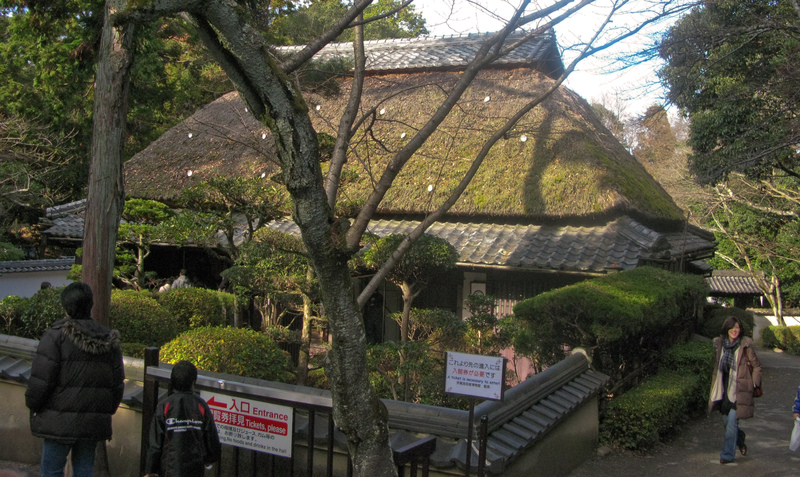 We visited the ninja house and ninja museum in Iga’s Ueno park. The house was interesting, showcasing all the architectural tricks a ninja would use to enter, exit and observe visitors. There were also secret weapons stashes. The museum explained the origins of the ninja, ninja weapons and ninja costumes. They also had a somewhat silly ninja stunt show for children. After the show I spent an extra 100Y to throw shuriken at a foam target and managed one bullseye. On they way back to Nagoya from Iga was stopped at the Rumiko sake factory to pick up a bottle of their newly released Nama Zake. I also tasted a sake that had been barrel aged in wood for 14 years. 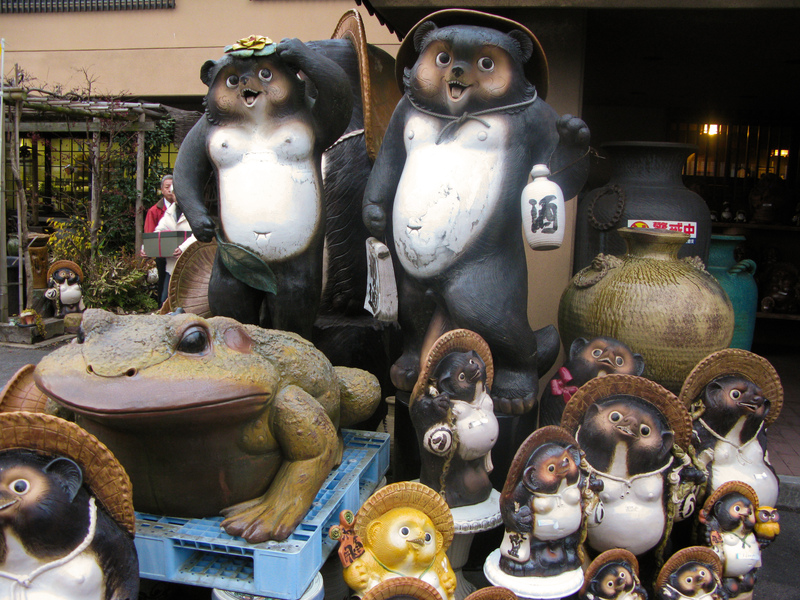 After the sake factory we passed through a district famous for ceramics whose main output appears to be ceramic tanuki… Racoon Dog idols with gigantic testicles meant to bring good luck and good health. 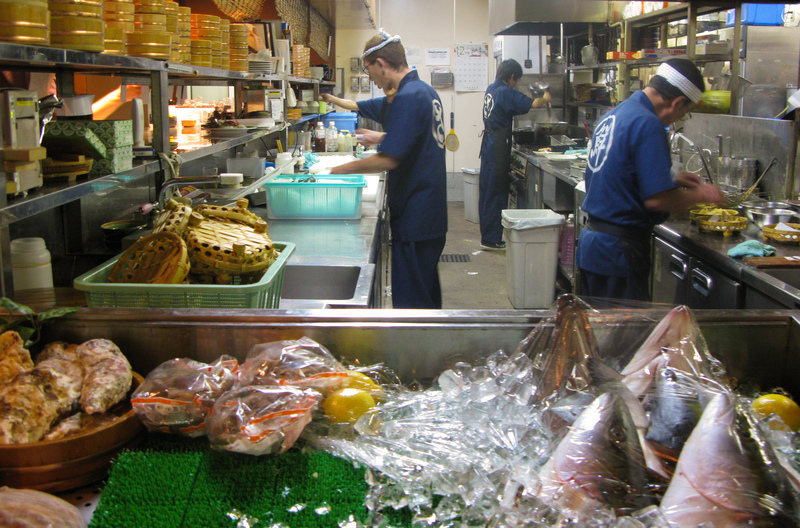 We got back to Nagoya and ate dinner at the Marusai, a fish restaurant. We had some special toro served on the bone and scraped at the table. I ate some sazae sashimi and a toro donbury. We also had a couple of fish heads and some hoke.